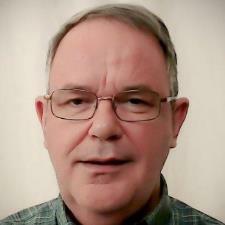 I am an IT professional with 40 years' experience in Europe and the USA. I have worked in many different organizations, and have delivered a great deal of successful products. My real passion is for teaching and coaching, and when I'm not doing my day Job, I teach 3 classes at the University of Washington, and coach those who really want to learn. I have used Excel and trained students in Excel since the product was first released. I have a unique knowledge of how to apply Excel to real business problems effectively, without getting lost in unnecessary technical details. Excel is incredibly powerful, and it is vital to learn how to apply it the right way. I can help! I lecture at the University of Washington on business analysis and advanced Python programming, and I deeply understand how to help students grasp and understand even the most complex concepts. Python is a wonderful and incredibly useful language, and it is simple to get started if approached the right way. I help to make sure you get the thought process right so you really understand the language and its ecosystem. I love to help people learn and overcome associated difficulties. I am very keen to find the right students to help learn and grow. This is vital, because you have to want to learn and be successful, and the you do, I can really help. Rate details: Python tutoring rates are $40 an hour online, and $50 and hour in person. Coaching rates start at $150 an hour. I have 15+ years’ experience assisting employees and job seekers at all levels to take the next steps in their professions. 1 on 1 we discover and / or confirm development goals, and plan how these will be attained. We will also work on producing resumes and covering letters that help achieve results. I am a certified Career Coach. Detailed knowledge of using the command line for day to day activities, particularly using bash. Experienced in both local and cloud installations, with Ubuntu, Red Hat, and Debian distributions. Developer of many system maintenance scripts. Able to solve problems and issues relating to use and configuration. I am an instructor at a leading US University in advanced Python programming, as well as a Python application and analytics developer. I have a deep understanding of the right way to help beginners and experienced developers alike get the most out of applying Python in their day to day duties. Very knowledgeable and patient, took time to explain things clearly, but never at all in a dull manner. Was clear explaining all relative topics and was sure to guide me in a direction specific to learning the language in the way I intend to use it, and following my interests. I certainly recommend it to anyone looking to learn via assistance of this instructor. My second lesson with Andy Went over some more advanced scripting concepts with Andy. He's really great at explaining and going over difficult concepts, especially for me because scripting logic has always confounded me. His patience and personality are what makes learning this stuff much easier! Andy is not only very knowledgeable and experienced with Python; he is able to effectively translate his knowledge and expertise using an approach that is applicable to the students assignments. Great Python session for a beginner! Andy gives patient, thorough, and generous explanations of Python coding concepts. After just one lesson I've learned a ton, and I look forward to learning more. I am learning basic python from Andy and am extremely satisfied so far. He has a solid grasp of the subject matter and is well prepared for classes. Highly recommend him. Andy went through my project with me and went in depth to cover the background on the topic of SQL. We broke everything down into more manageable parts while ultimately helping me grasp the concepts. This seemingly tough material became a lot clearer after our session and I will definitely work with Andy again. Thanks for the help and support!